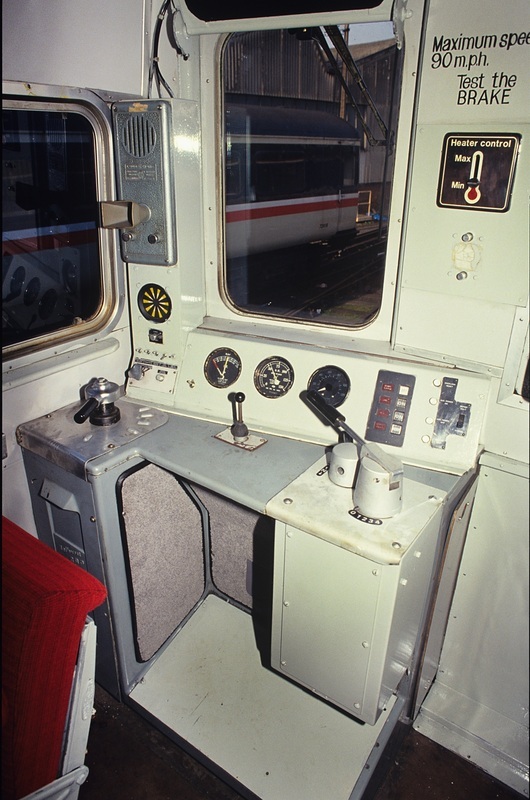 Left: 4SUB (Class 405). No. 4660. 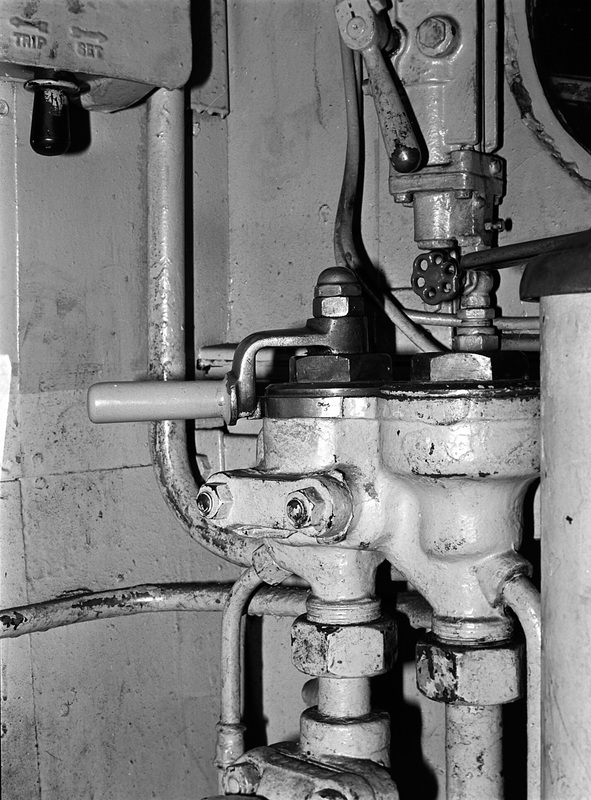 Above: Westinghouse air brake valve. 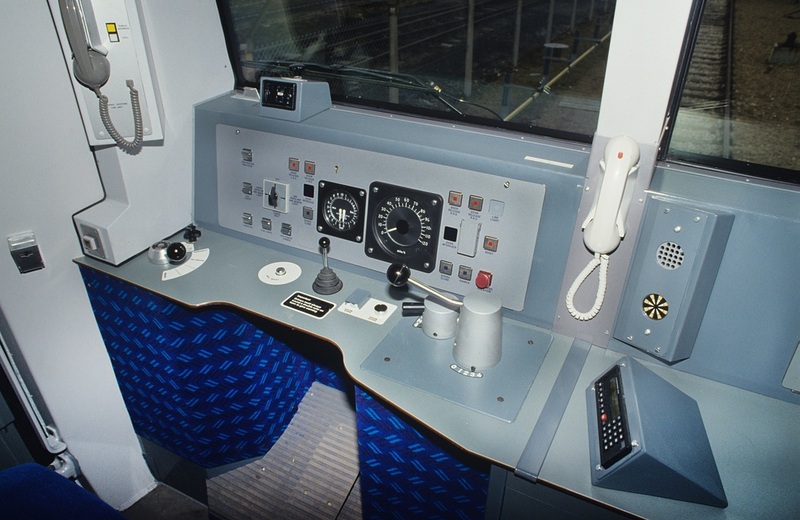 Left & Above: 4BEP (Class 412) (refurbished) No. 2307. 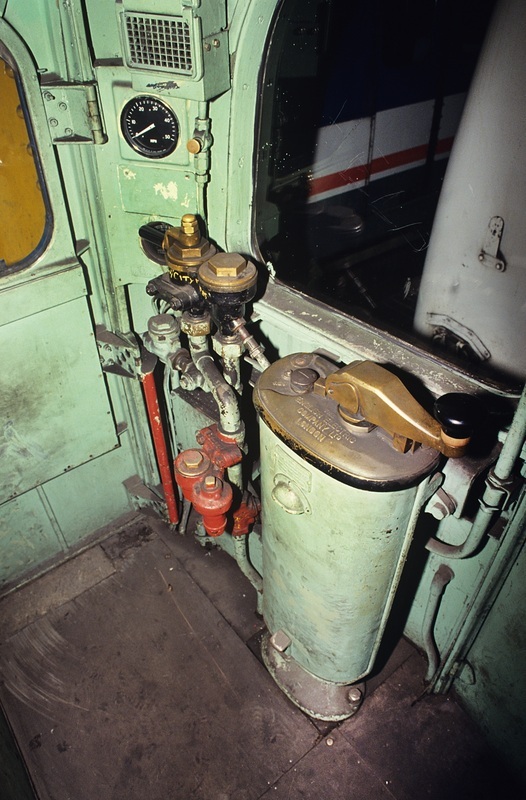 Above: 2 HAP (Class 414) No. 6147. 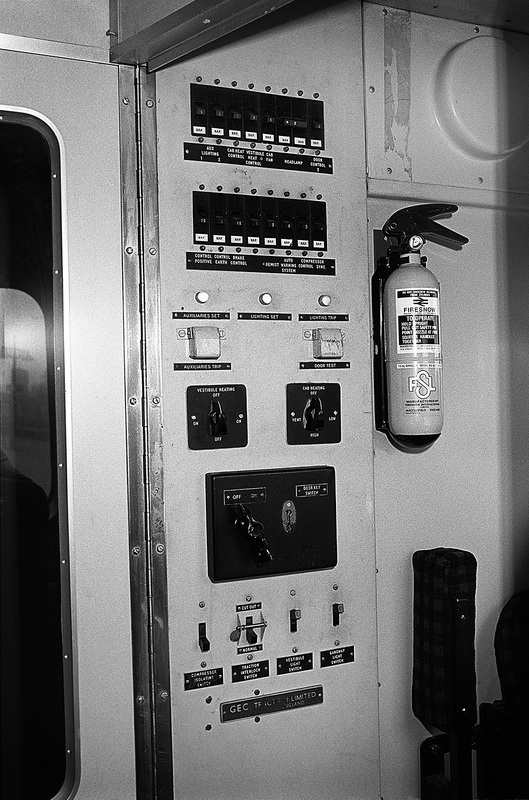 Above: 4EPB (Class 415) No. 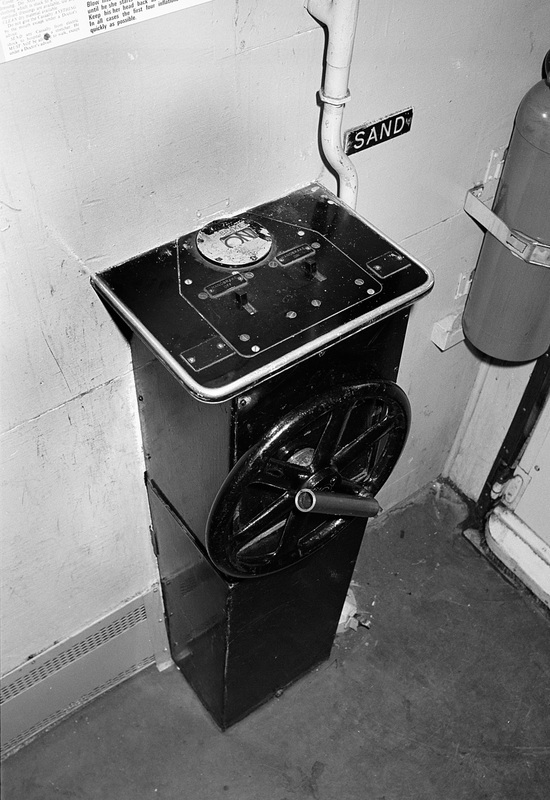 5123 (ST design). Not fitted with a speedometer. 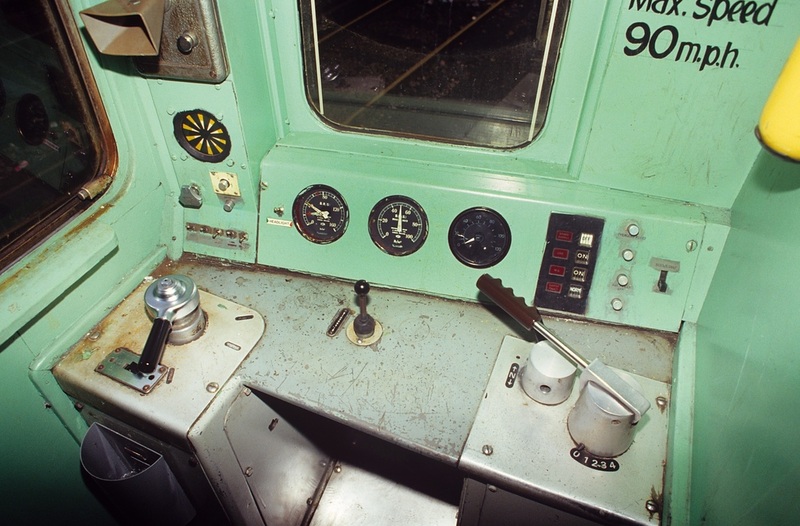 Above: 2EPB (Class 416) (SR design). No. 6329. 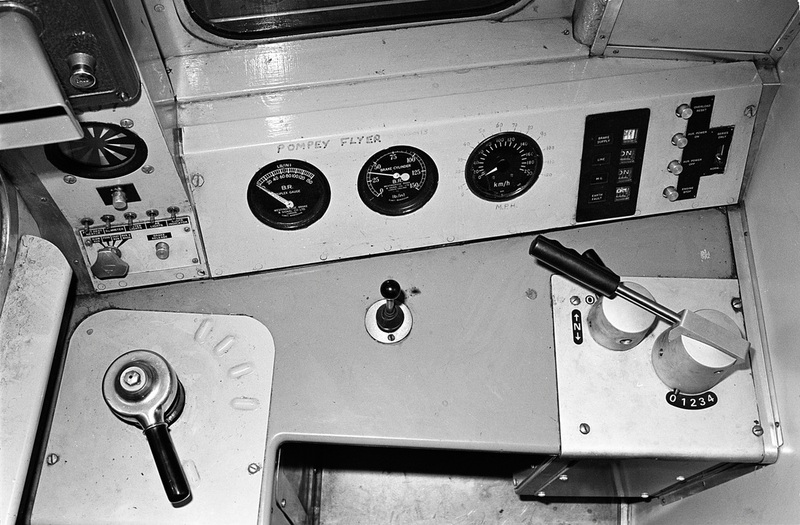 Left: 4CIG (Class 421) Phase 1 unit fitted with 1957 style cab controls. Unit No. 7321. 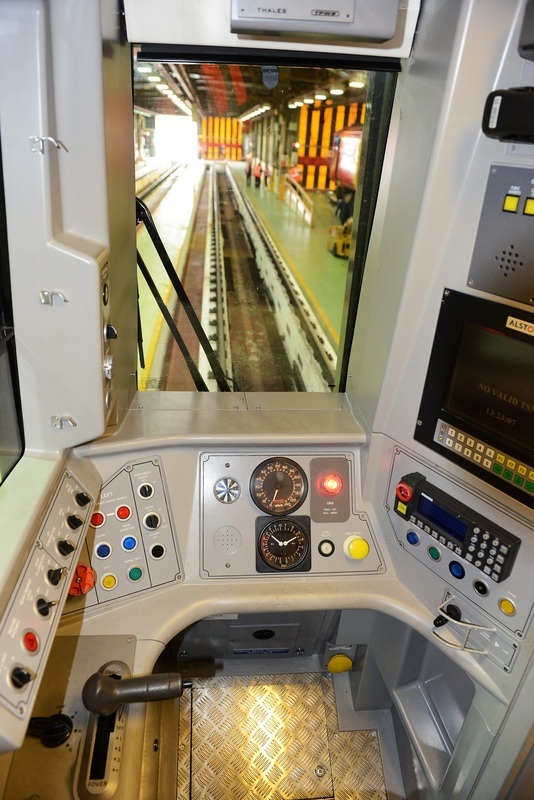 Above: Shows the electric parking brake controls. 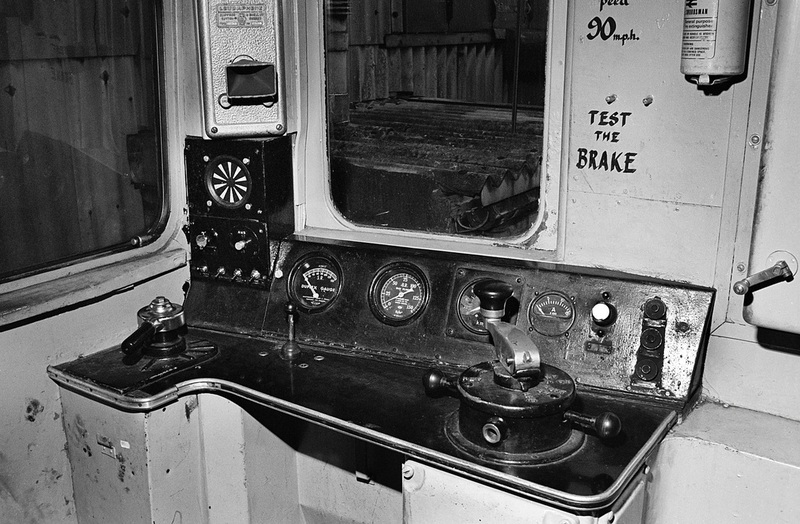 Phase 1 4CIG with electric parking brake, guards van controller/wheel. 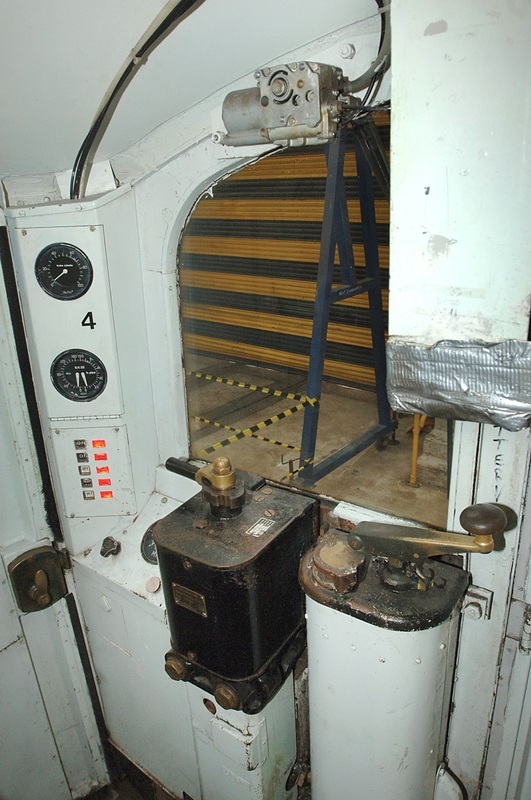 Phase 2 4CIG / 4VEP cab handbrake wheel (with electric detector). 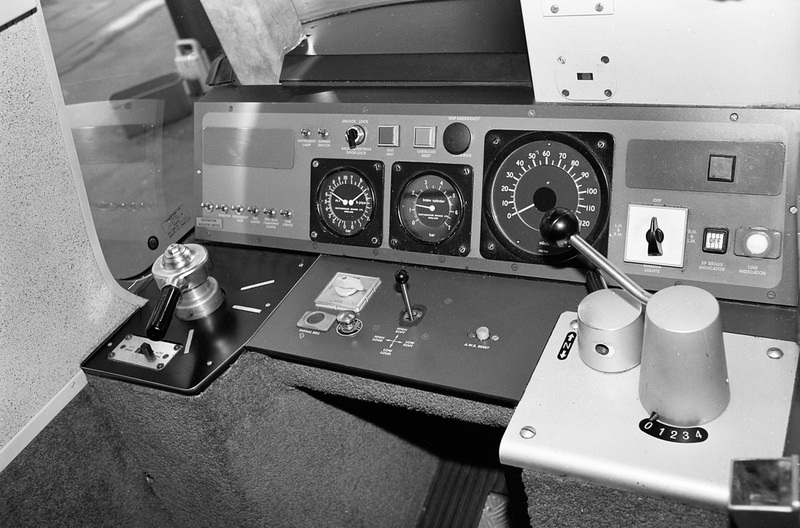 Class 424, AdTranz/Bombardier prototype for converting 1957/63 cabs for use on rebuild slam door stock with sliding doors 'Networker Classic' project. 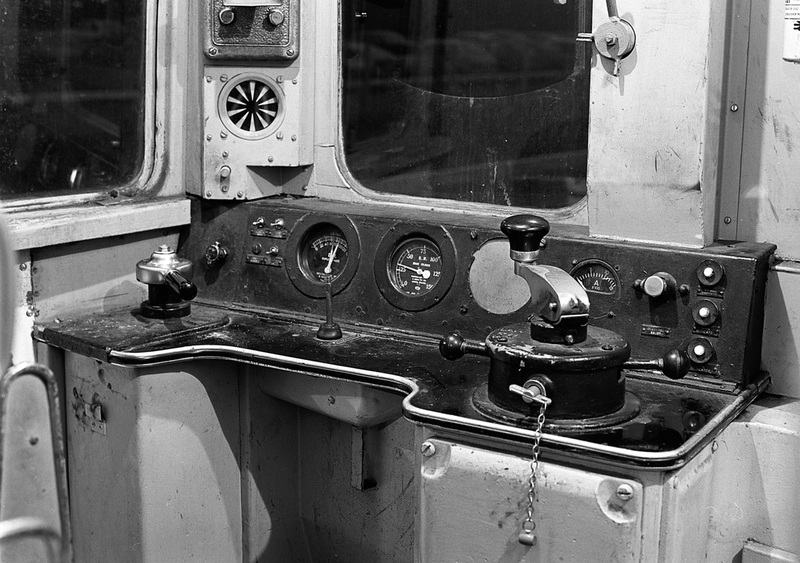 An interesting mix of 1957, 1963 and 'modern' cab equipment. No. 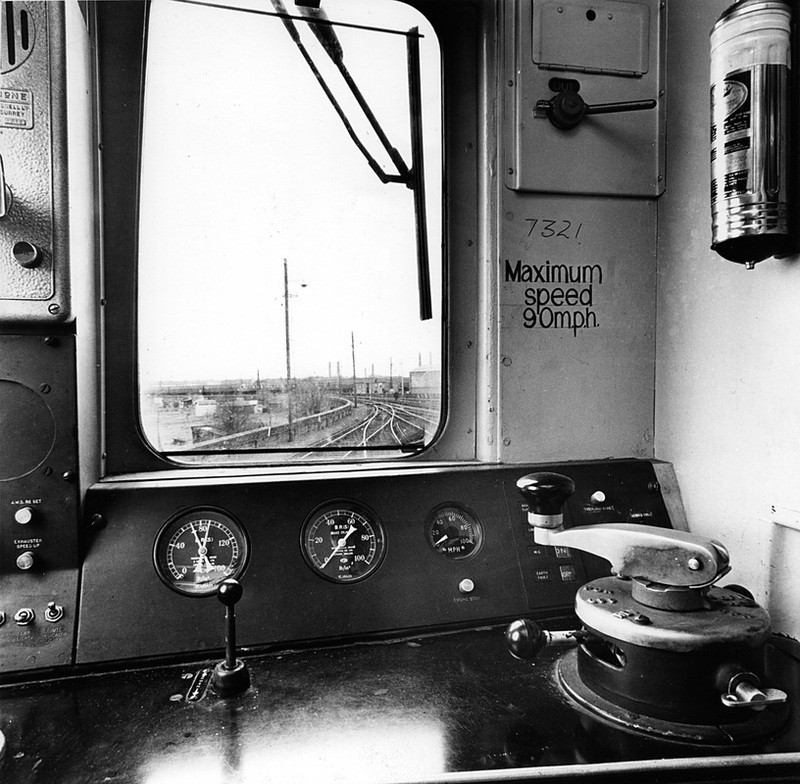 424001. 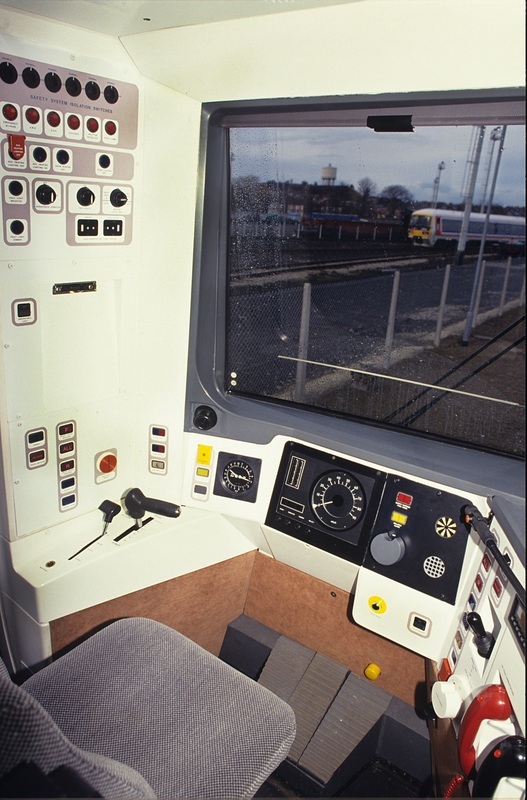 Above: Class 442 'Wessex' Electric. 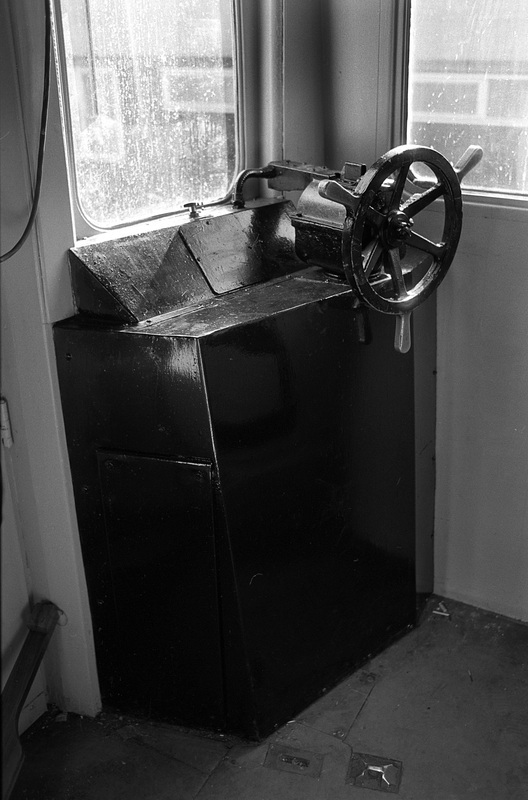 Fitted with three-position brake valve. 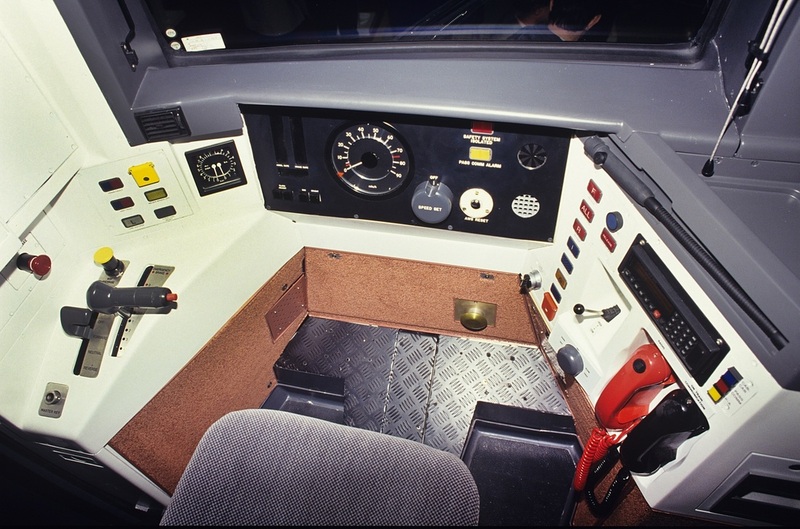 Above: Class 444 driving cab with one third width cab compartment. 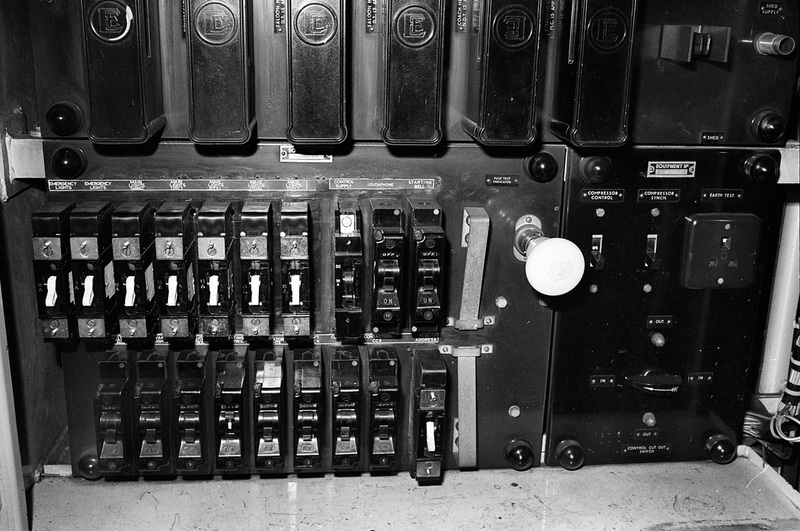 1 - Power and brake controller, 2 - Drivers master key socket, 3 - Windscreen wiper switch, 4 - Master switch (off, for/net/rev), 5 - Drivers reminder appliance isolation switch, 6 - Windscreen washer button, 7 - Drivers reminder appliance, 8 - Windscreen heat switch, 9 - Main reservoir and brake pipe pressure gauge, 10 - TPWS control panel, 11 - Speedometer, 12 - AWS reset button, 13 - Horn valve, 14 - Traction/brake efficiency, 15 - AWS alarm and sunflower indicator, 16 - Emergency brake plunger, 17 - Cab-shore radio, 18 - Communications panel, 19 - Desk light dimmer switch, 20 - Sanding button, 21 - Cab light switch, 22 - Power reduction, 23 - Marker/head/tail light switch, 24 - Passenger alarm light, 25 - Tail light indicator, 26 - Pantogaph VCB up/down, 27 - Hazard warning indicator, 28 - Safety system isolated warning light, 29 - HSCB on/off, 30 - Uncouple button, 31 - Low speed button, 32 - Air con close inlets, 33 - Door key switch on/off, 34 - Right side door controls. 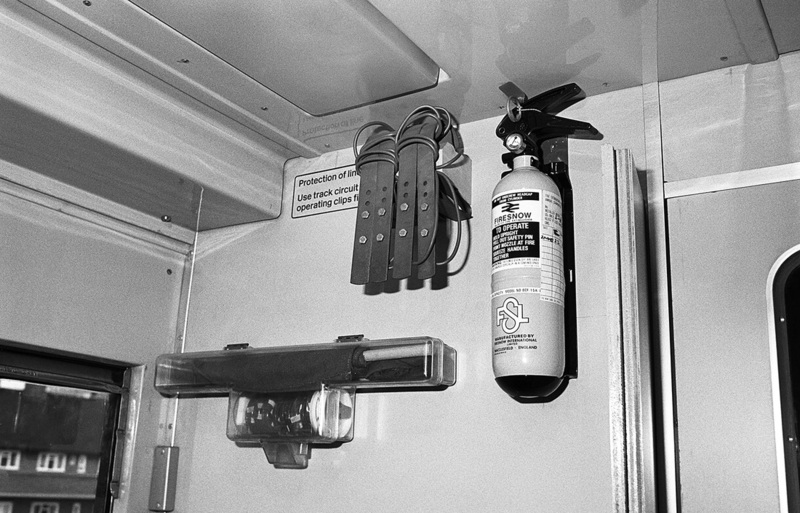 Above: Class 455/8 No. 5808 is as delivered condition. 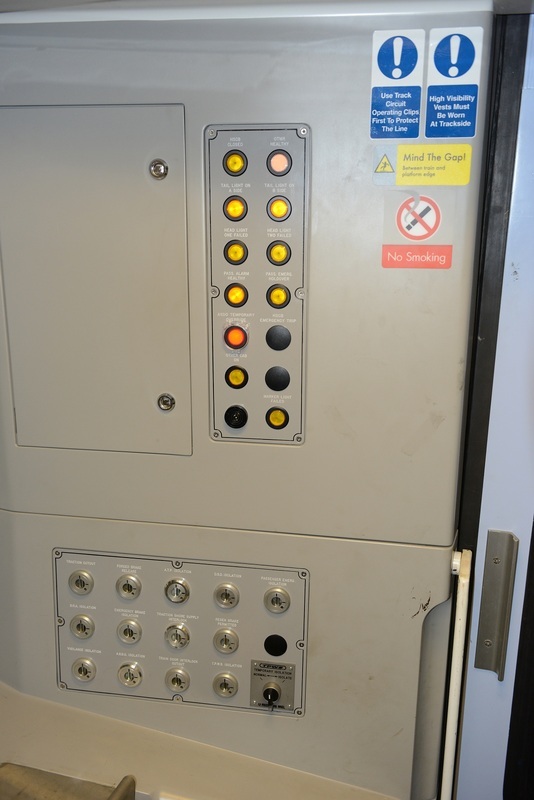 Right: Cab rear panel of Class 455 in as delivered condition. 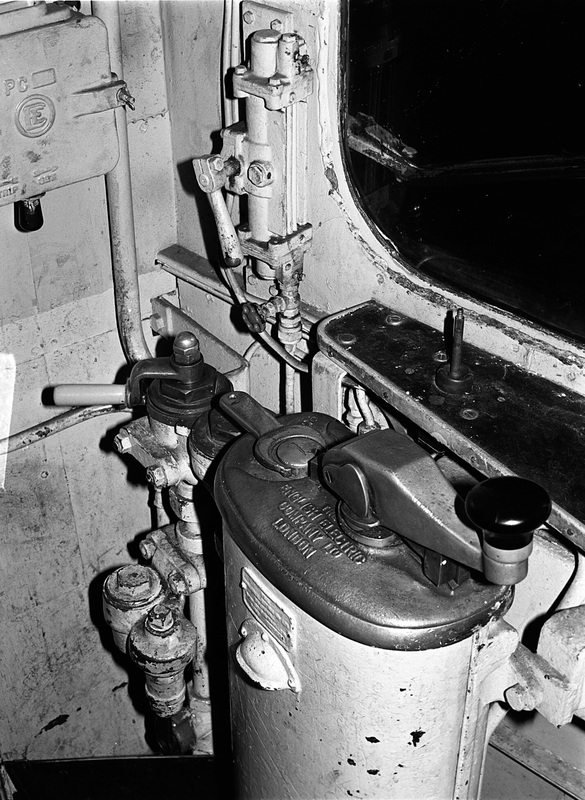 Below: Non driving side bulkhead of Class 455/8 in as delivered condition. 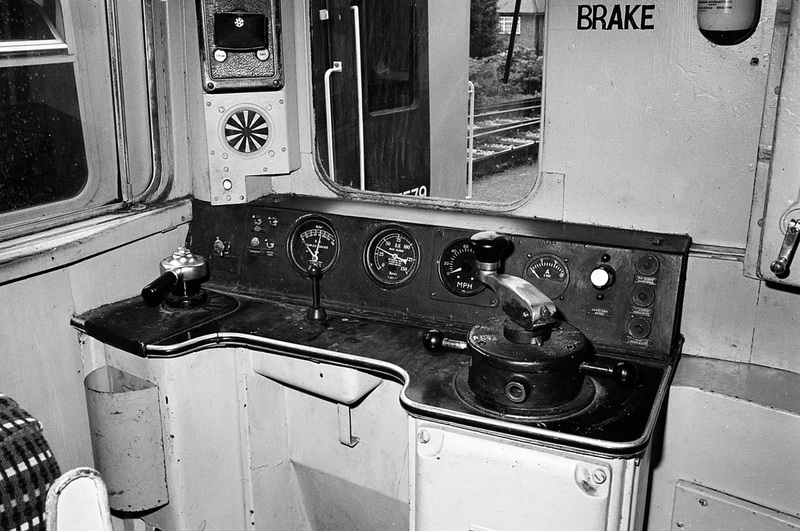 Above: Class 456 in original condition, set No. 456003. 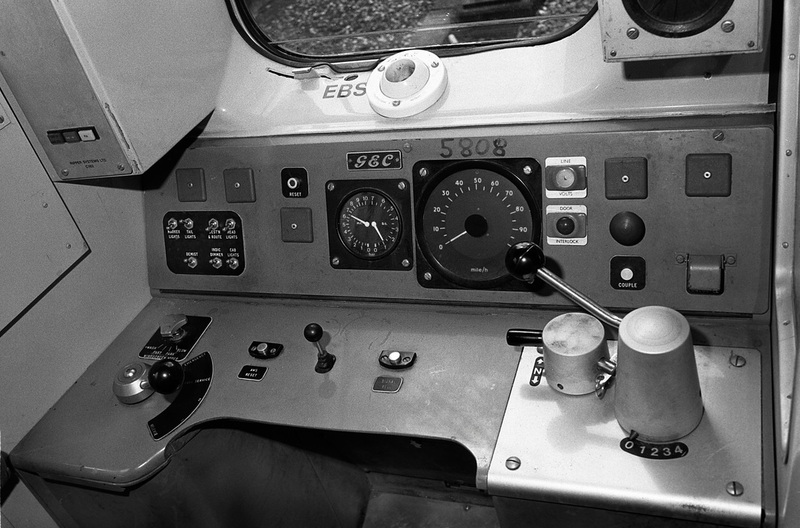 Left: Class 458/0. As delivered. 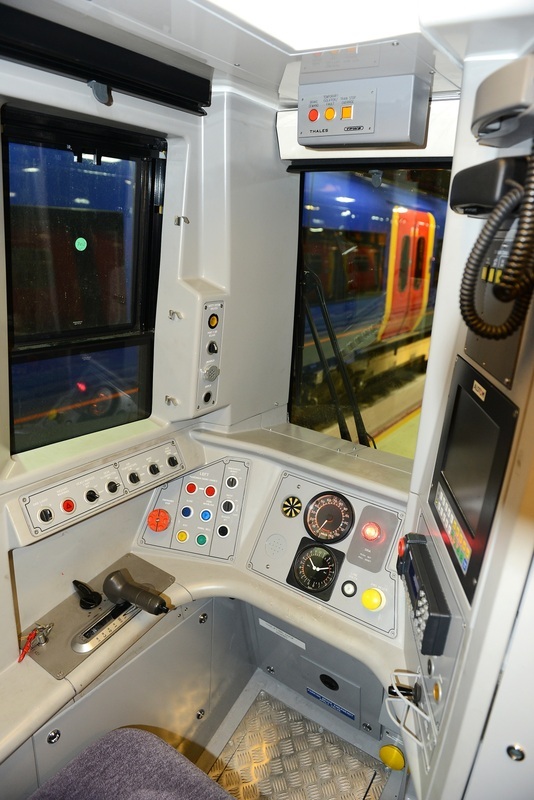 Left: Class 458/5 (new cab). 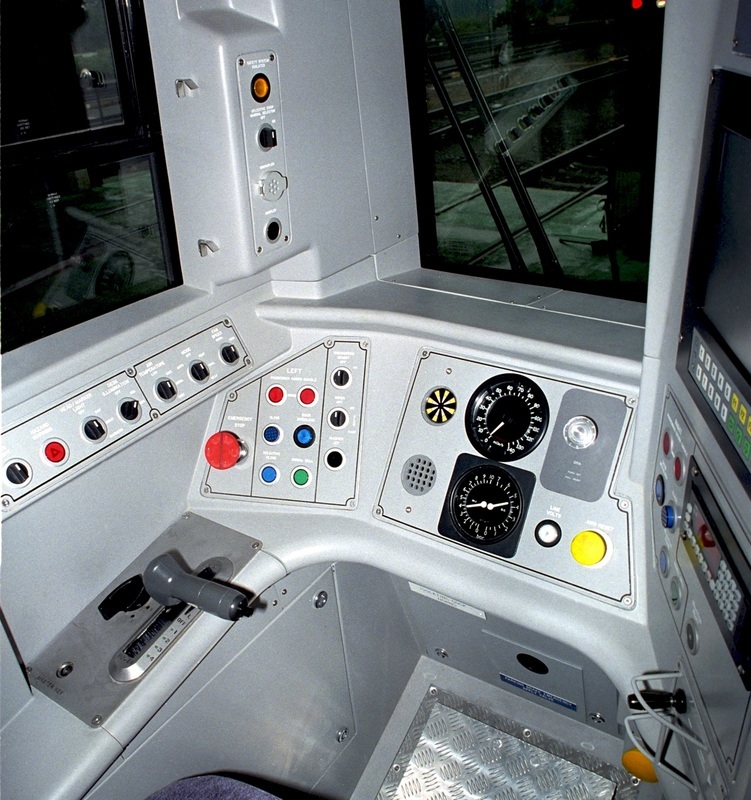 Above: Class 458/5 cab side panel. 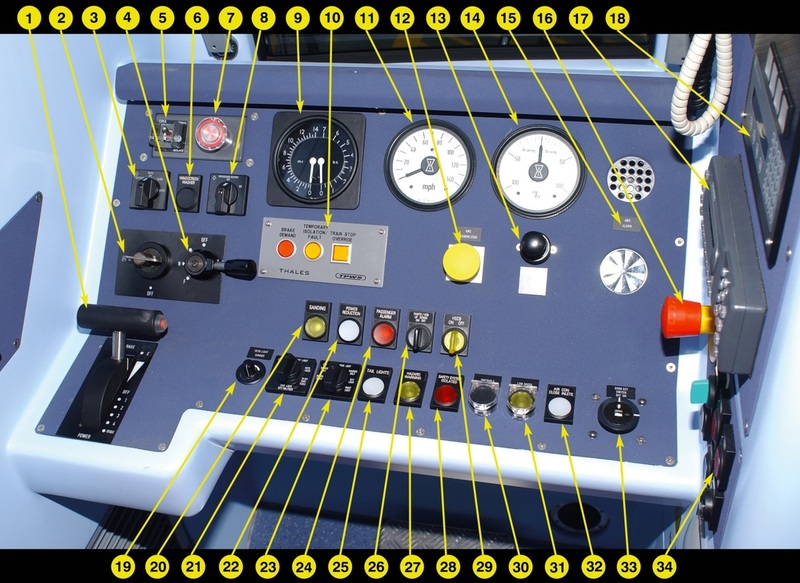 Class 460 'Gat-Ex' original condition. 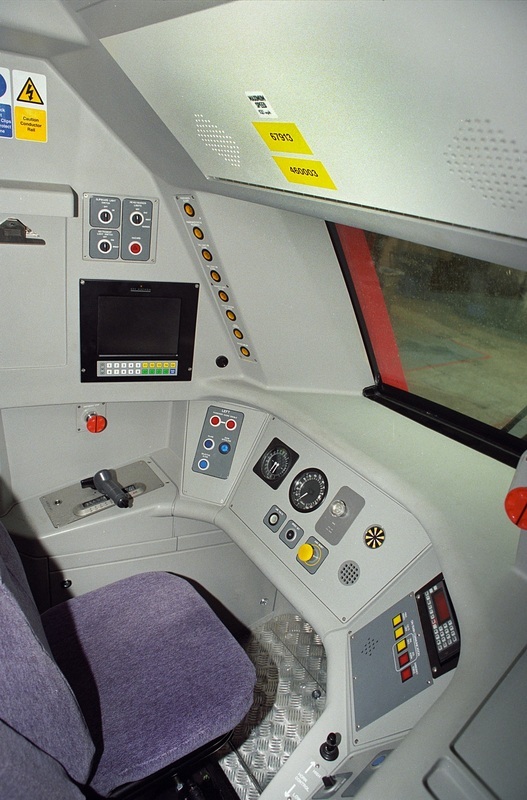 Class 465/0 'Networker', No. 465001. 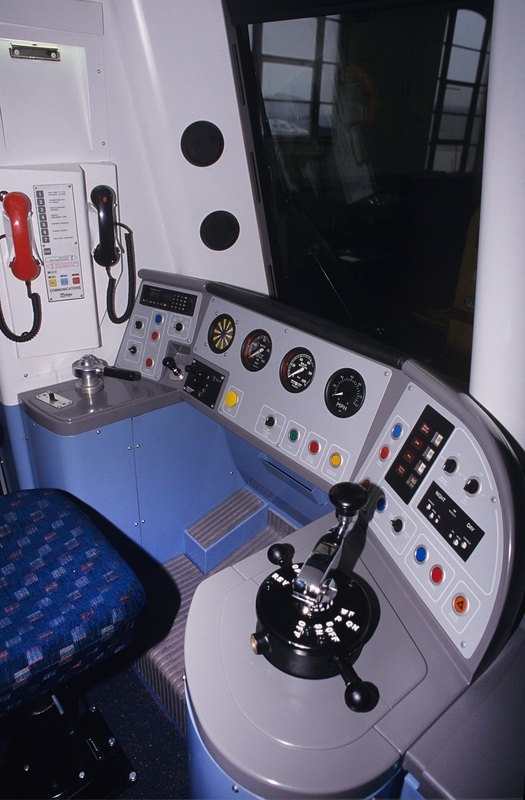 Class 465/2 'Networker', No. 465201. 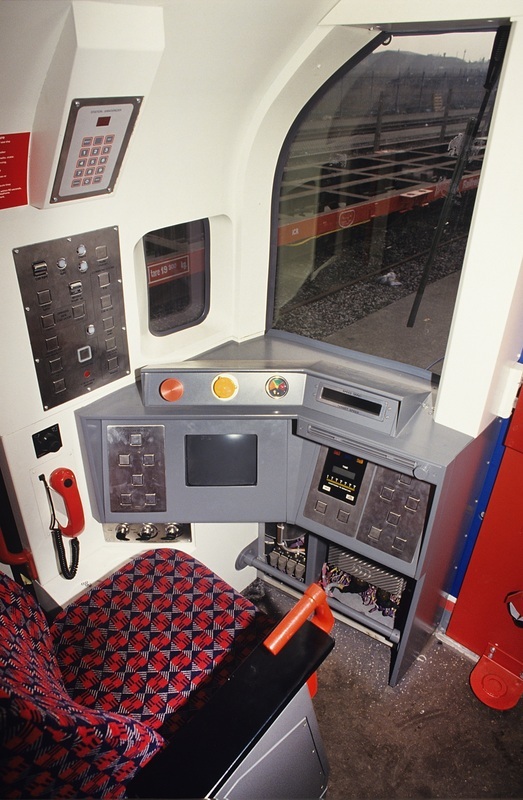 Class 482 Waterloo & City stock - Now part of LUL Central Line fleet. 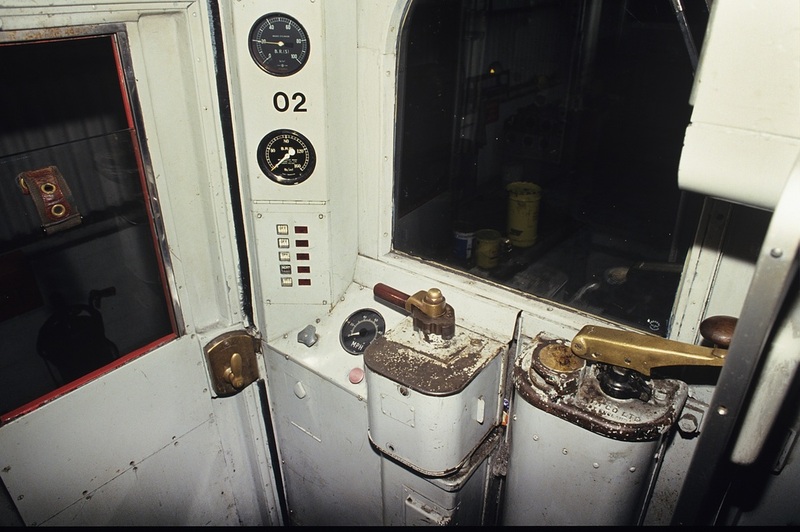 Left: Class 483 stock, set No. 008 Ryde. 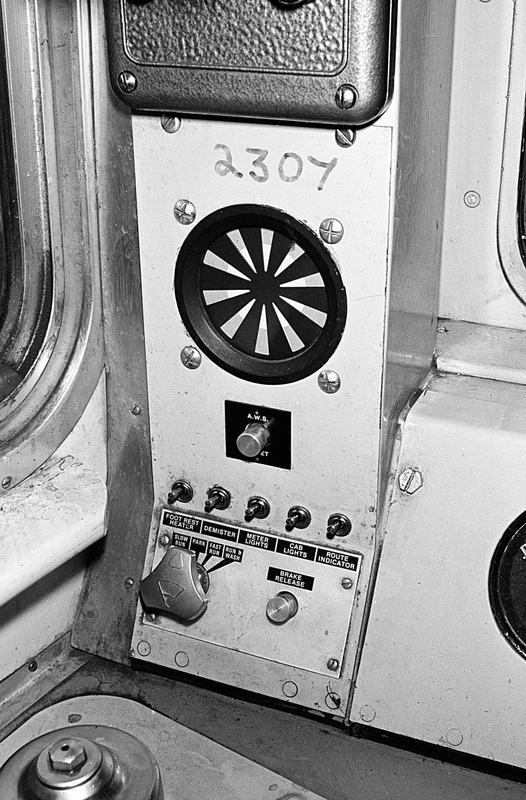 Below: Class 483 stock, set No. 002 Ryde. Class 487, 1940 Waterloo & City stock. 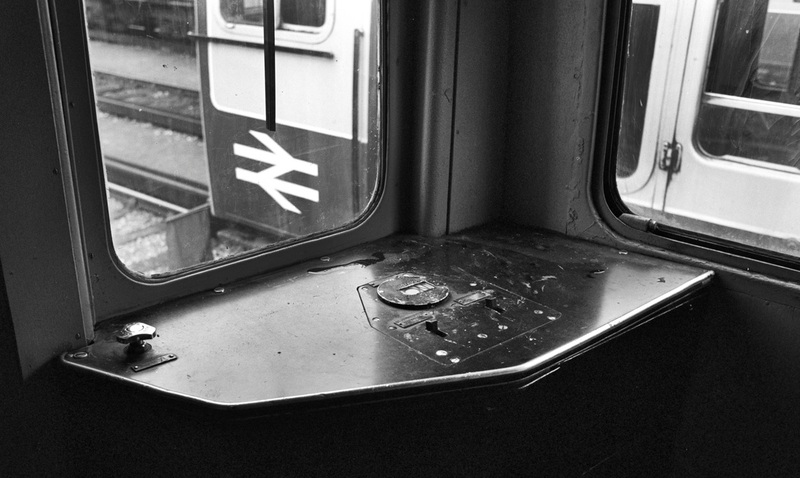 Class 489 Gatwick Luggage Van. No. 9105.